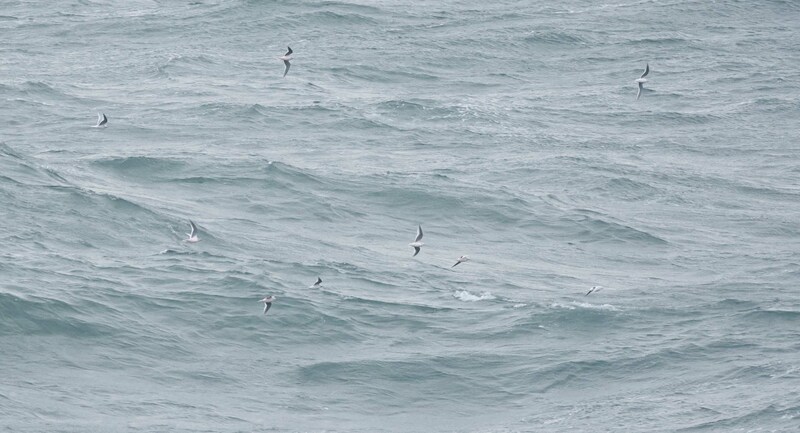 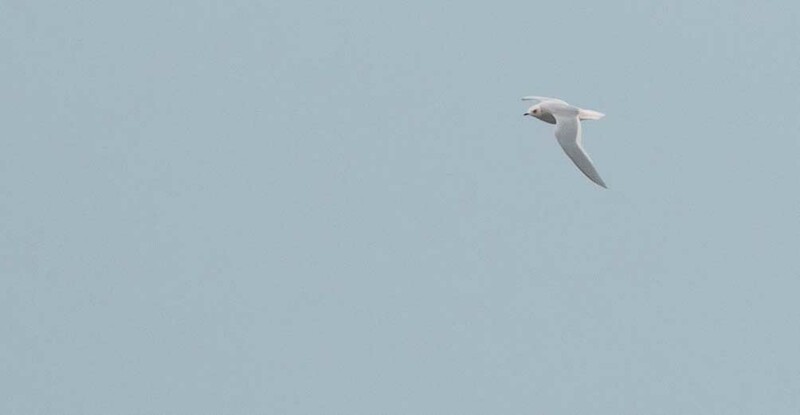 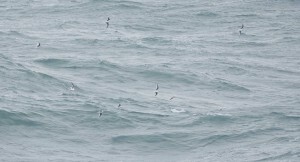 This entry was posted in Arctic, Climate Change, Ocean Acidification and tagged Ross's Gulls on October 24, 2011 by Gaelin. 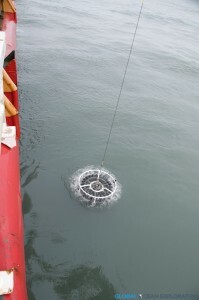 With the sampling by the Mackenzie River finished, it was time for us to continue steaming to the west back towards Barrow Canyon to finish up some work there before heading back to Dutch Harbor. 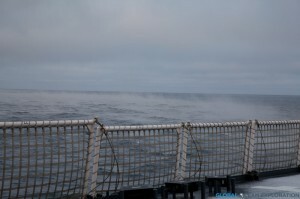 It was a foggy and snowy day with a long steam ahead of us. 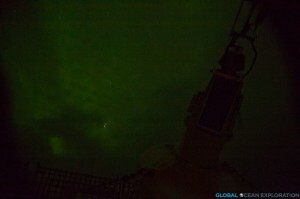 In the evening, the skies cleared and the Northern Lights, Aurora borealis, illuminated the sky in a stunning display. 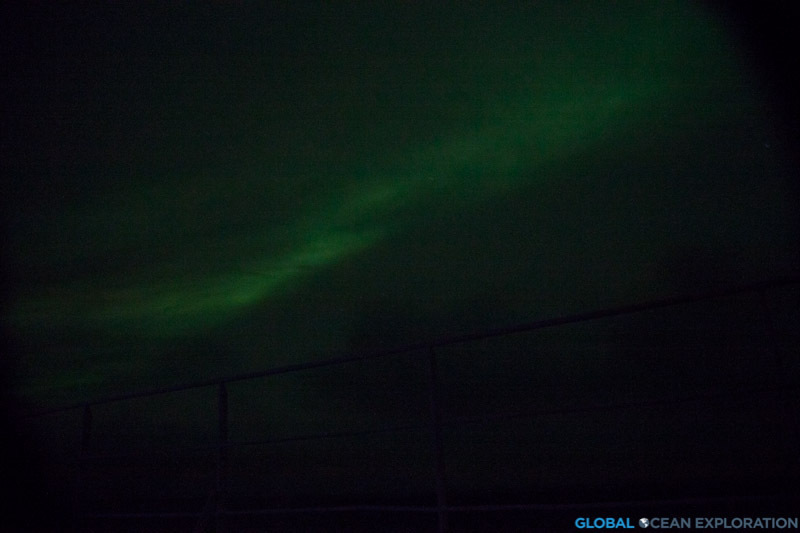 I have always dreamed about seeing the Northern Lights or Aurora Borealis and knowing that we are so far north and in prime Aurora season, I have made it a nightly ritual to go out on deck to check for clear skies. On a few evenings, the clouds have parted and the skies were illuminated with the shimmering green of the Aurora. 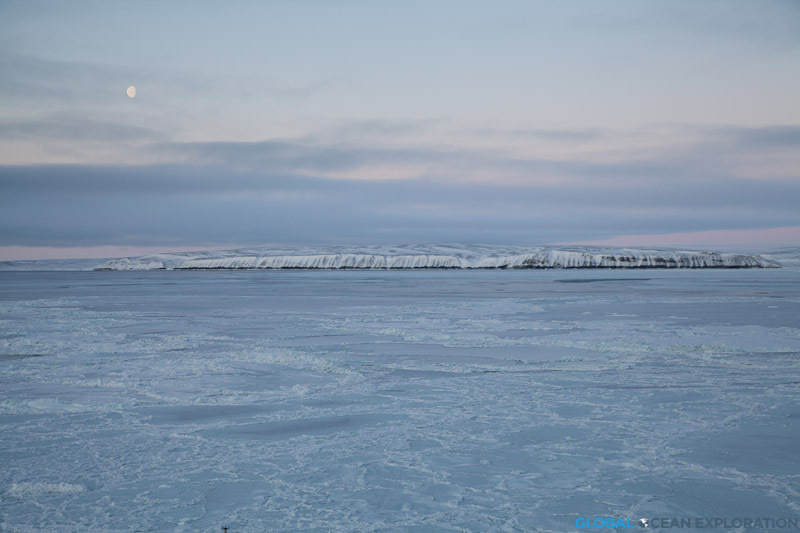 I am very excited to have seen the Aurora on a few occasions on this cruise although have found photographing the Aurora from a moving ship to be quite challenging. I can now add the Aurora to the unique and extraordinary things I have seen on this expedition which have left me yearning for more time up here. This entry was posted in Arctic, Climate Change, Ocean Acidification and tagged Arctic Ocean, aurora borealis, northern lights on October 24, 2011 by Gaelin. This entry was posted in Arctic, Climate Change, Ocean Acidification and tagged Arctic Ocean, Beaufort Sea, Mackenzie River, Ocean Acidification, pH on October 24, 2011 by Gaelin. 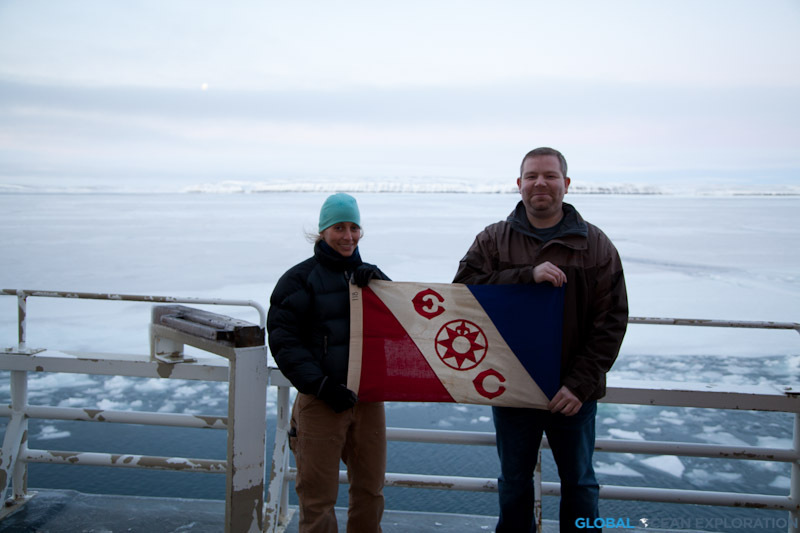 This entry was posted in Arctic, Climate Change, Ocean Acidification and tagged Glacier Bay, Stacey Reisdorph on October 23, 2011 by Gaelin. 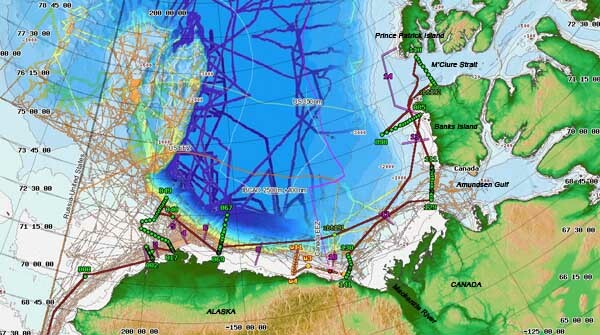 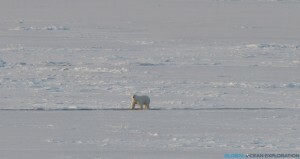 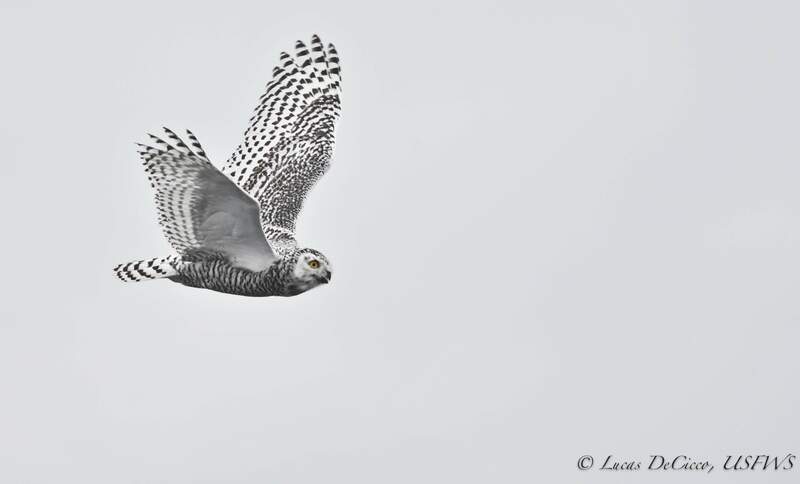 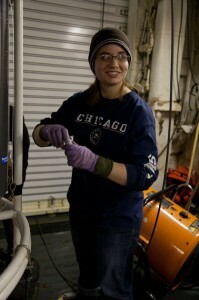 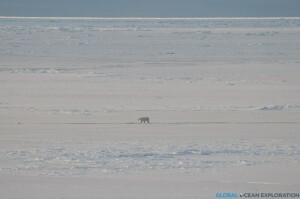 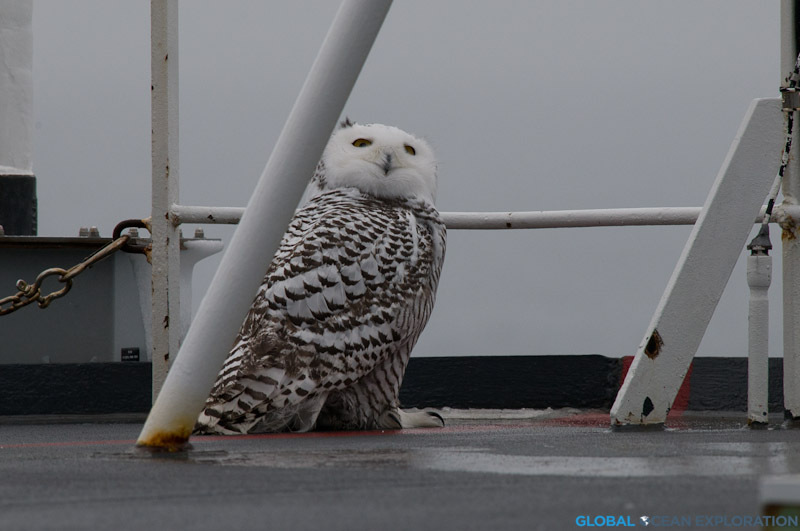 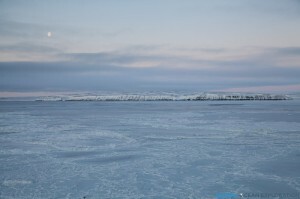 This entry was posted in Arctic, Climate Change, Ocean Acidification and tagged snowy owl on October 21, 2011 by Gaelin. 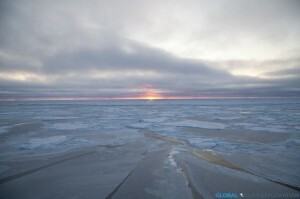 This entry was posted in Arctic, Climate Change, Ocean Acidification and tagged amundsen gulf, Northwest Passage, sea ice on October 21, 2011 by Gaelin. 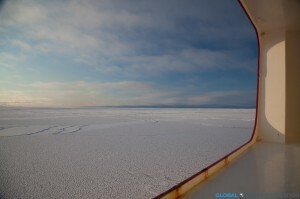 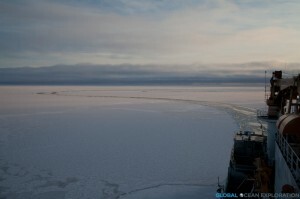 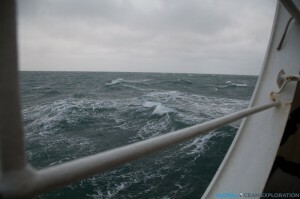 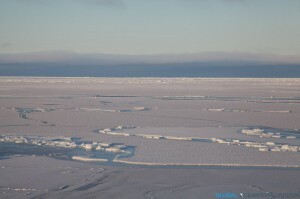 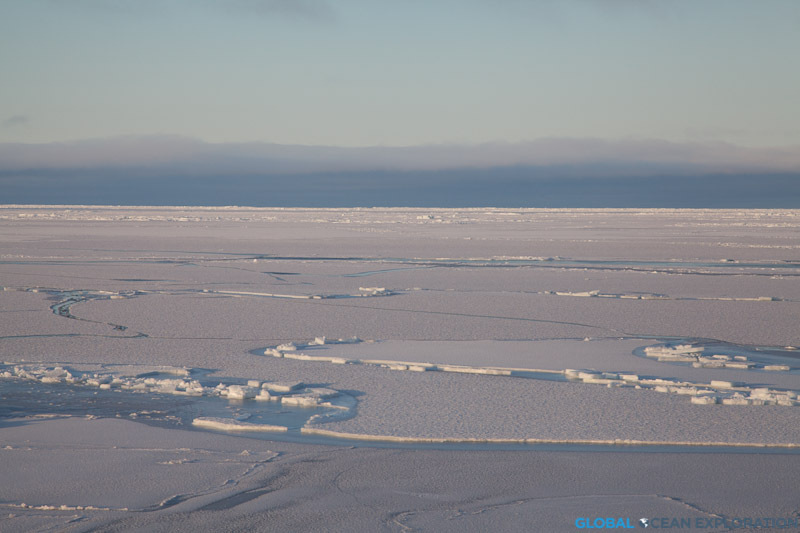 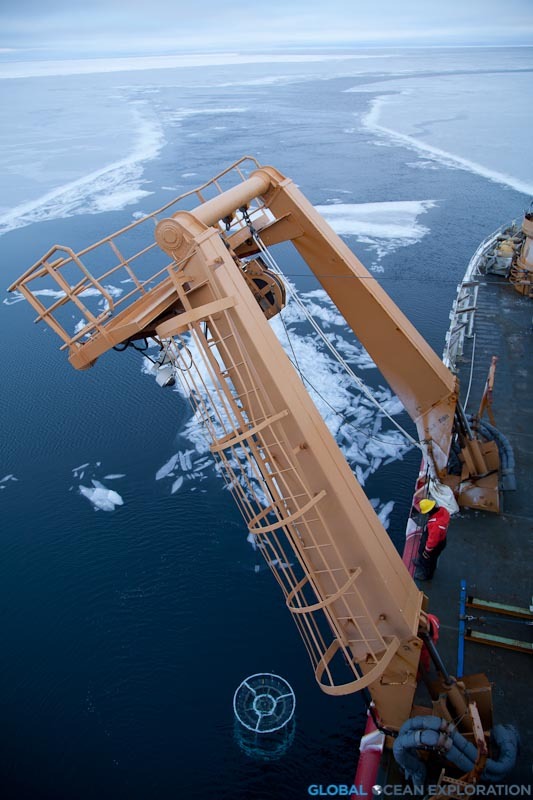 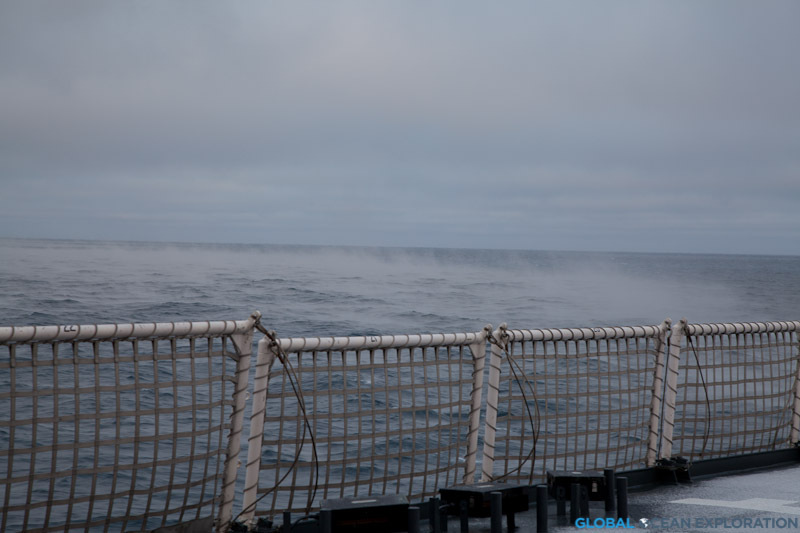 This entry was posted in Arctic, Climate Change, Ocean Acidification and tagged ctd, expedition, M'Clure Strait, Northwest Passage, Prince Patrick Island, sea ice on October 20, 2011 by Gaelin. 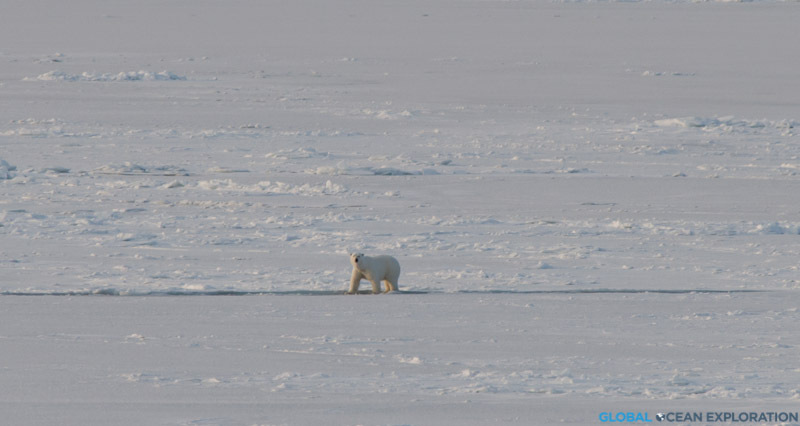 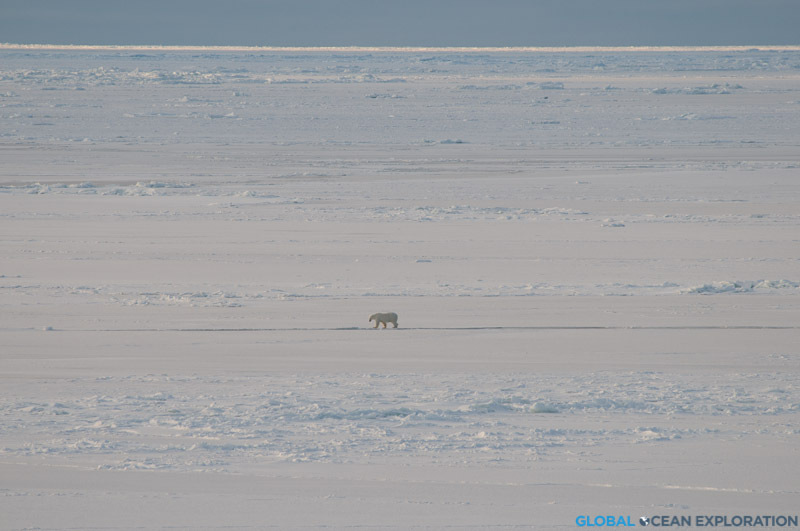 This entry was posted in Arctic, Climate Change, Ocean Acidification and tagged polar bear, sea ice on October 19, 2011 by Gaelin.